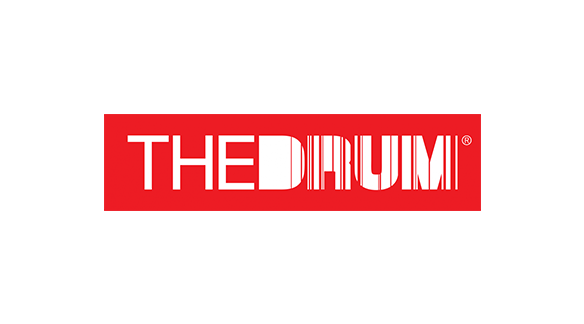 The Drum’s ‘Unsung Heroes’ series is a celebration of the people in the industry who slog hard behind the limelight for their companies, brands and clients. As they are seldom in the spotlight for their contribution to the success of campaigns, and this is their time to shine. If you think of someone who deserves this recognition, please get in touch with Shawn Lim and nominate them. You can read the second feature, which looks at the role of the communicator, here. Lily Cheong is the ad ops lead in Asia for Blis, who explains that her job is more than just filing reports, as she needs to deep dive into data to derive insights and trends to share with clients. I lead the ad operations team here at Blis which forms the backbone of our what we do as a business in Singapore. Sometimes we liken ourselves to the workers that chuck coal into the boiler 24/7 in order to keep the engine running and power a steam train. What was once a relatively straightforward job has transformed into a complex and agile role. Being tech-savvy is not enough and we have to keep up with the latest innovations in the programmatic ecosystem, as well as with ever-growing client anxieties. I love working with data. I also love the feeling I get after having strategically run a challenging campaign with better-than-expected outcome, and my client is pleased with it. That all we do from morning to evening is make reports. I would agree with them for the most part. Sure, a huge part of our day is dedicated to ad trafficking and generating reports. Data plays massive role in what we do everyday. But another thing we do is run tests and comparisons, and use all that data to derive insights and trends to share with various stakeholders. Also we’re the people who know the platform’s features and functionalities inside out. Machines are never perfect so we try to find ways to beat limitations. I love what I do and honestly, I would not change anything. Which campaign, that you worked on, are you most proud of? A campaign that stands out for me was a recent one we did with IKEA. This was the first campaign in Singapore with Blis Futures, an AI-powered, predictive location modelling solution. For this campaign, we used Blis predictive analytics to identify consumers most likely to visit IKEA, delivering them contextually relevant ads, and measuring the impact by how many consumers actually visited the store. We tracked activity in both IKEA Tampines and Alexandra outlets, and ultimately managed to drive really high footfall – a result we’re proud of. Raef Godwin. That man was ahead of his time. He’s one of the pioneers of the industry, when he joined the PGA Tour’s digital team back then during the internet bubble. There comes a point where a company can no longer use salespeople to sell their way out of a revenue problem. He saw the importance in efficiency and operations, and was the sole Ad Ops member in his company all the way until 2008. If you weren’t in ad operations, what would you be? I would be a café owner. I love the aroma of freshly roasted coffee beans, and I’d showcase all my favourite quirky art pieces in every corner.